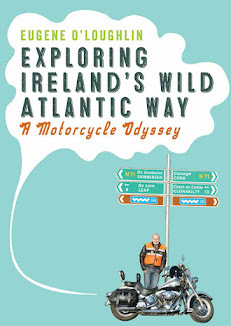 This time last year I was excited about the launch of my travel book "Exploring Ireland's Wild Atlantic Way: A Motorcycle Odyssey". 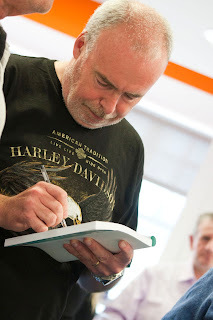 I had a successful book signing in the National College of Ireland, a trip to Bikefest in Killarney, interviews on The Ryan Tubridy Show (RTÉ) and The Pat Kenny Show (Newstalk), tweeting photos every day, and great fun seeing my book on bookshelves around the country. While it still can be found in some bookshops, it is now out of print. Easons are out of stock and Amazon just have second hand copies or some for sale by other book sellers left. So far no decision on a reprint, though it is looking increasingly unlikely. There are now several books about the Wild Atlantic Way available, so the competition has heated up. It is also getting late in the tourist season to order a new print run, so it seems this chapter is coming to an end. 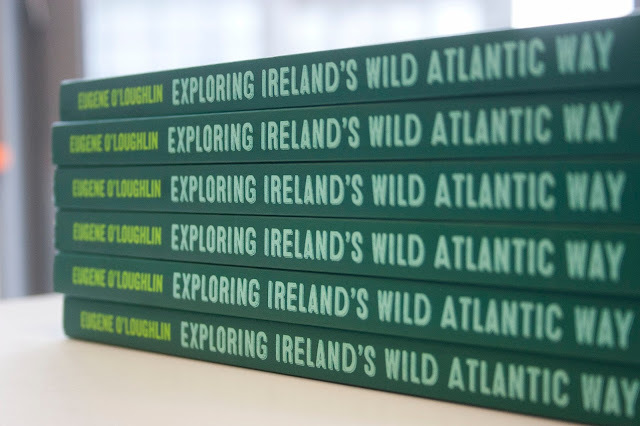 I will have two more books out this year - one on the Causeway and Mourne Coastal routes, and another on the East and Southeast coasts. I am publishing these myself through Amazon's Createspace self-publishing solution. It's funny how not having a publisher pressing you for chapters reduces the urgency to finish. Still - I hope to have the Causeway book done in July when I'll have the time while on holidays.